"TARA I UPAKOVKA", informational analytical and science-practical magazine, appearing every two months, is a unique opportunity to enlarge business and advance your production on the Russian market. "TARA I UPAKOVKA" accomplishes informational and business contacts between producers and consumers of packaging products, technologies, machines and equipment. "TARA I UPAKOVKA" informs the reader about the latest and brand new technologies in packing, packaging and labeling of food products, beverages, perfumery, household liquids etc. "TARA I UPAKOVKA" is an organizer and sponsor of the largest packaging exhibitions in Russia, participant of different international specialized exhibitions. "TARA I UPAKOVKA" was established in 1990 and may be received by subscription or direct delivery in Russia and abroad. Periodicity – 6 issues in a year. Volume – more than 100 pages. "TARA I UPAKOVKA" MAGAZINE, 6, Suvorovskaya st.,Moscow,107023, Russia. 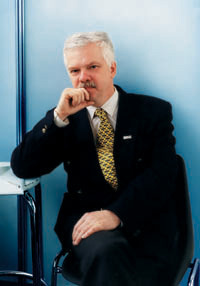 Igor Smirenny - Editor-in-Chief, Vice president European packaging institute. Irina Volkova - Deputy Editor-in-Chief. Irina Ermolova - Project manager. Marina Belokonova - Head account. Valentina Akulinina - Special Correspondent.